Despite Darwin’s illness, the two got on well and continued to write to each other for some time after Darwin’s return to England. Previous to my departure from England, I had the pleasure of heaving a valuable paper by my friend Mr. Darwin, on the formation of coral islands, read at the Geological Society; my attention being thus awakened to the subject, the interest of this important paper was to me greatly enhanced by a series of queries, kindly furnished by Mr. Darwin, and drawn up with a view to confirm or invalidate his views, his purpose being to elicit truth from a combination of well attested facts, and by inducing the research of others to further the objects of science. Stokes spent his final voyage surveying Australasian waters, succeeding to the ship’s command in 1841, and eventually returned to England in 1843. Shortly after, he unwittingly involved Darwin in an extremely awkward situation with the then governor of New Zealand, George Grey. Darwin had agreed to read over some proof sheets for Stokes’ account of his travels, later published as Discoveries in Australia (1846). In the letter Darwin sent when he returned the proofs, Darwin referred to Grey’s own travel account as a ‘catalogue of mishaps and mismanagements’ and described the latter’s exploratory expedition as ‘that of a set of School Boys’. Stokes accidentally left the letter among the pages when they went back to the printer, and somehow the letter made its way to the desk of the governor himself. Fortunately, Darwin managed to smooth matters over, and the whole incident led to George Grey offering to send observations about natural history in New Zealand, so no harm was done. Stokes spent several years in England on half pay, apparently doing ‘little but shoot and hunt’ until the 1860s, when he was appointed rear-admiral, and finally admiral in 1877. Stokes, John Lort. 1846.Discoveries in Australia.2 vols. London: T. & W. Boone. Is pleased with cabin assignment onBeagle.Beaglewill map the east side of Tierra del Fuego and Patagonia and set longitude of many places. Comments on book by George Grey [Journals of two expeditions of discovery in north-west and Western Australia(1841)]. "The whole expedition was that of a set of School Boys". Returns letter from CD to J. L. Stokes [see940and1030]. CD’s note to Stokes [see940] has been forwarded to George Grey; CD fears he may be offended. Asks how it could have happened. Pleased to hear that SC is prospering. News of FitzRoy, Sulivan and J. L. Stokes. The Crimean War is badly mismanaged, but Englishmen are behaving nobly. Wishes he knew what to do with his boys. Naval officer. 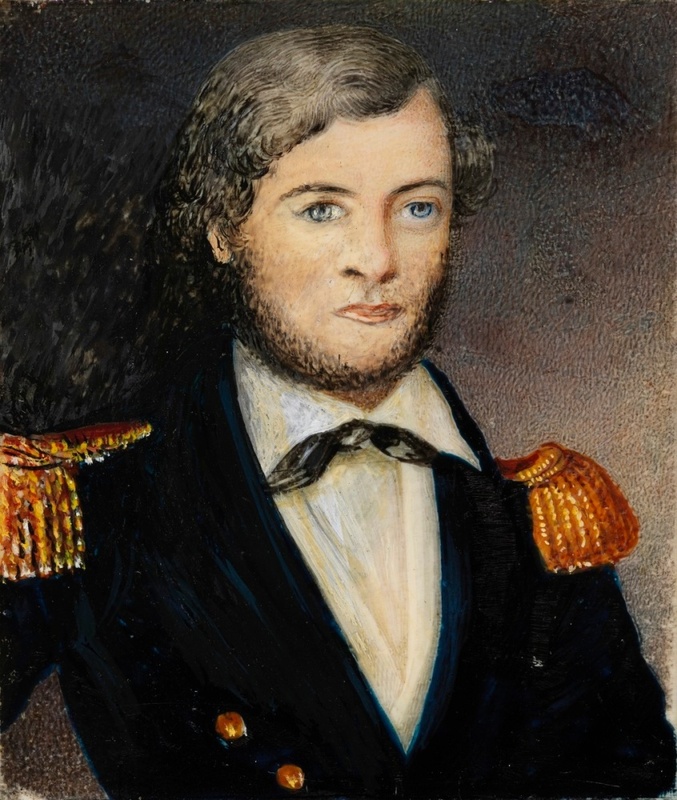 Midshipman on HMS Beagle, 1825–30; mate and assistant surveyor, 1831–6; lieutenant, 1837–41; commander, 1841–3. Captain on HMS Acheron, surveying off New Zealand, 1847–51; on half pay, 1851–60; employed surveying the Channel coasts, 1860–3; rear admiral, 1864; vice-admiral, 1871; admiral, 1877.